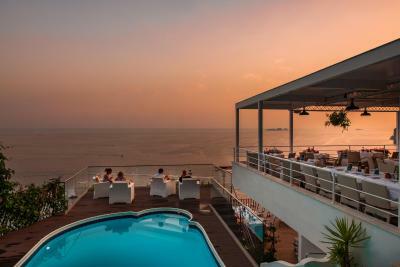 Lock in a great price for Hotel Eden Roc Suites – rated 9.3 by recent guests! Beautiful place with amazing, friendly staff. 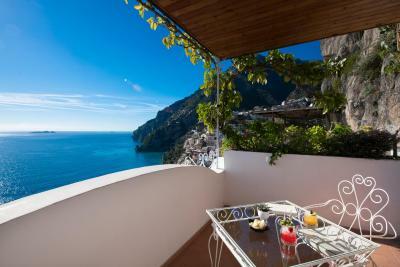 The location is ideal because you get that incredible view, but you're still in the center of Positano. The service here is incredible. They go way out of their way to accommodate your needs - almost before you even know you need something. Tony at the morning buffet was so helpful with my daughter’s dairy allergy. He made her special food. She was so happy. Hotel is beautiful and in a perfect location. Views were incredible. 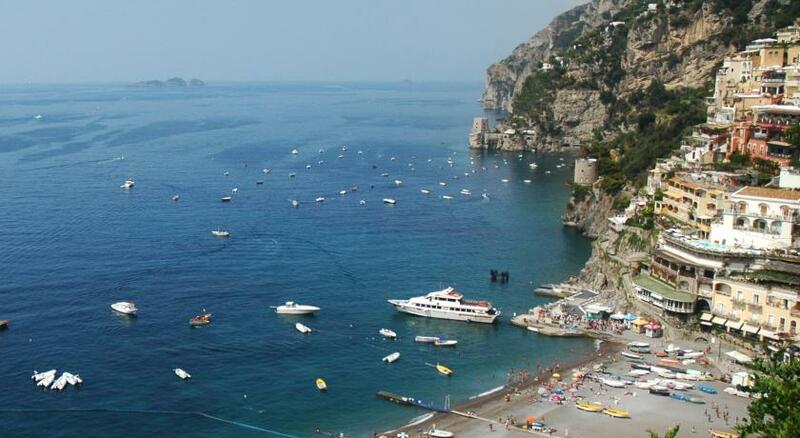 Our time at the Eden Roc Hotel in Positano was spectacular. Dominck (wonder), Tony (server) Louisa (front desk) and all were extraordinary. We had several delightful chats with each of them as they served us. The view from our balcony was top flight and the housekeeping staff deserves a "Top 1 percent" award for the most attentive and cleanest hotel room we have EVER stayed in and we have been just about all over the world. A wonderful hotel. Do not hesitate to book. Website does not do the hotel justice. So so clean and pretty. Service is fantastic. We loved the staff. They are marvelous. Especially Tony our waiter each morning for breakfast. He is awesome! We enjoyed the apartment as it was very spacious and arguably had the best view in Positano! Sitting on the side of the city you watched the city awake! Immaculate accommodation. Large balcony. Breathtaking views. 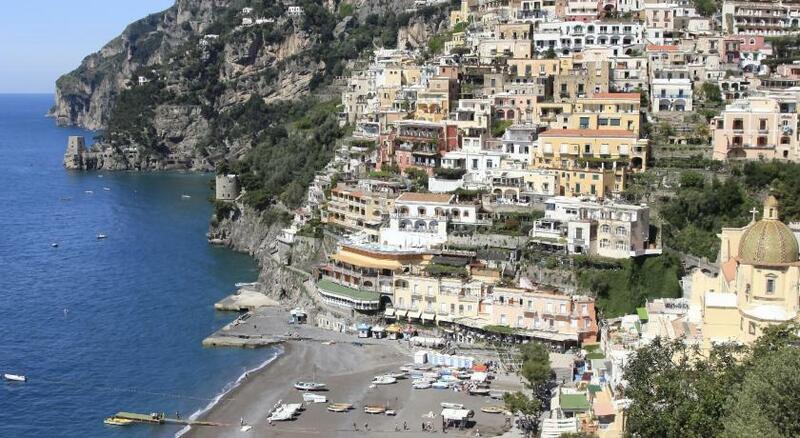 Excellent short walk to the beach and shops. 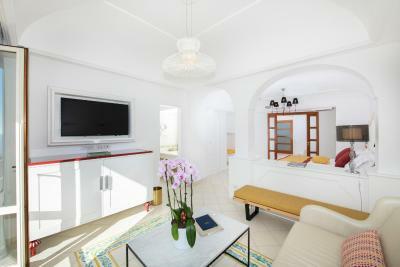 This one bedroom apartment boasted 2 bathrooms and a full kitchen. The SITA bus stop is less than a minute's walk! Great location. 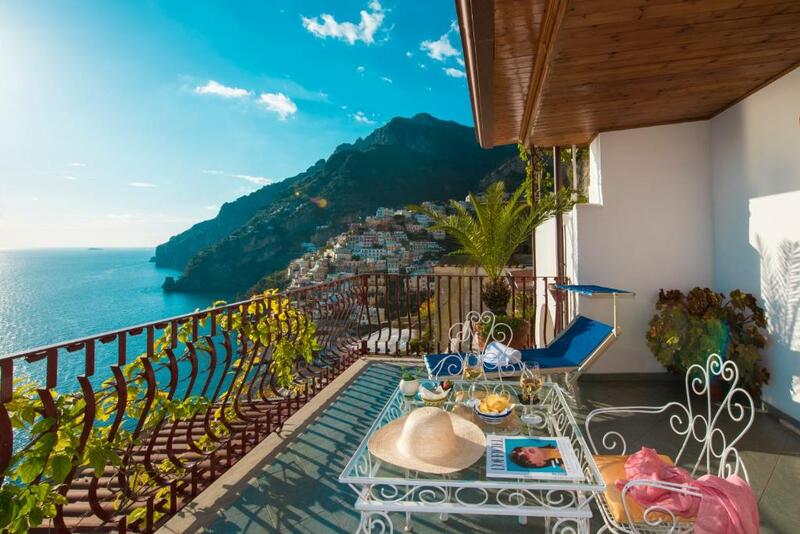 The hotel is under renovation during our booking time so they put us in a very beautiful apartment with the best view of positano. It is the best apartment we ever stayed at. It is warm and clean. 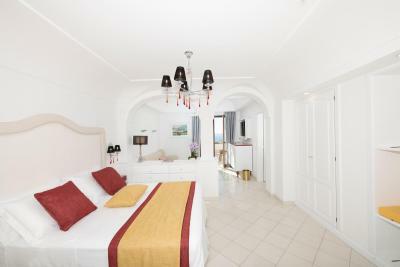 We love all the facilities in the apartment (kitchen is very nice, we like the dinning room and reading area). They also offer a private parking for us to park in front of the hotel (maybe it’s winter, and we are the only guest for that night). All the people at the hotels r very nice and helpful. I can't say enough about the wonderful accommodations at the Eden Roc. It exceeded all our expectations. 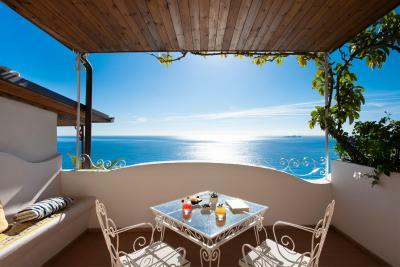 The ambiance, the staff, the room, the view and the breakfast were all delightful! 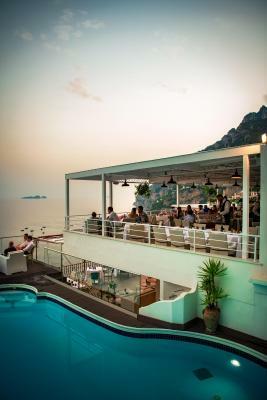 Don't miss out on this fabulous hotel. 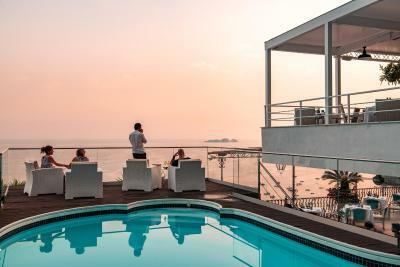 Hotel Eden Roc Suites This rating is a reflection of how the property compares to the industry standard when it comes to price, facilities and services available. It's based on a self-evaluation by the property. Use this rating to help choose your stay! 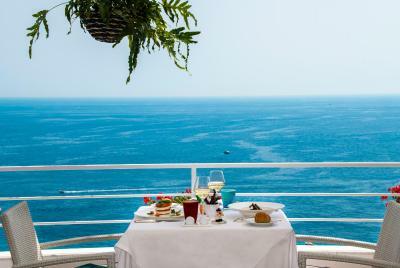 One of our top picks in Positano.Set in a panoramic location in picturesque Positano, Hotel Eden Roc Suites offers a pool, a spa, and rooms with a sea-view terrace. 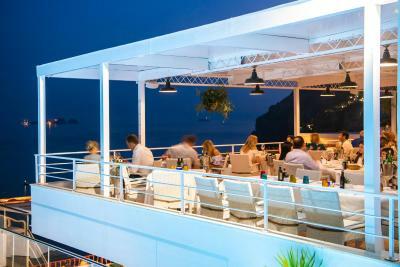 It features a restaurant, a gym, and a sun terrace. 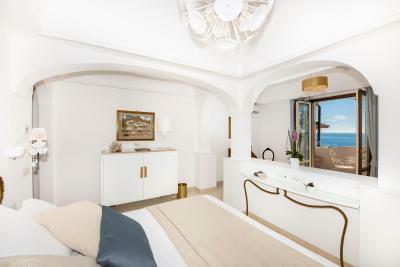 Air-conditioned rooms at the Eden Roc include satellite flat-screen TV, a seating area with sofa, and a mini-bar. The private bathroom has soft bathrobes plus slippers. A varied breakfast buffet is provided daily.The restaurant serves fine, local cuisine and homemade desserts. 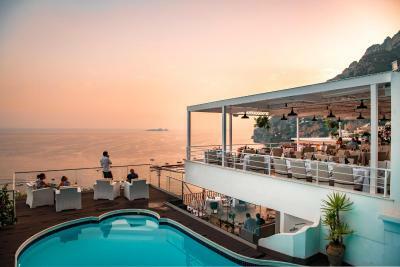 The stylish American bar is an ideal setting for an aperitif or after-dinner cocktail. 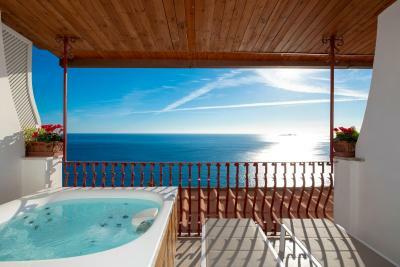 Guests can unwind in the Turkish bath, hot tub, and sauna. 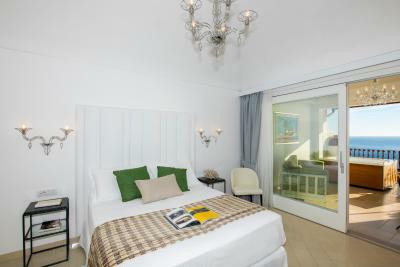 When would you like to stay at Hotel Eden Roc Suites? 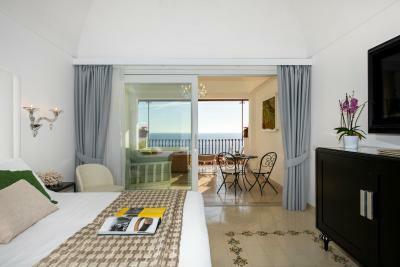 Featuring a sea-view terrace, this spacious suite includes 2 bathrooms with a shower, and 2 bedrooms. This suite features a balcony, microwave and private entrance. 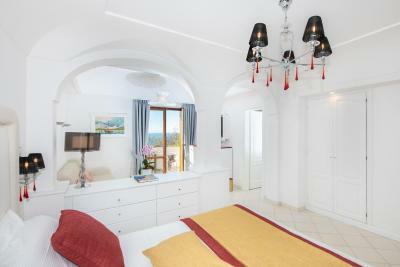 This villa features 3 bedrooms. This apartment features 2 bedrooms. 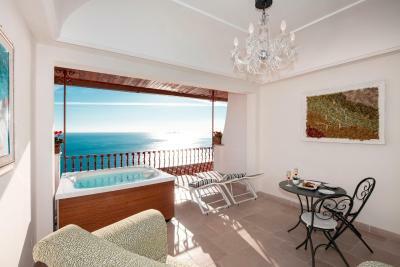 This suite features a sea-view terrace with a hot tub and a bathroom with a shower. 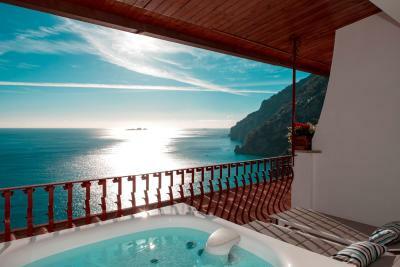 This suite has a balcony and a bathroom with shower. 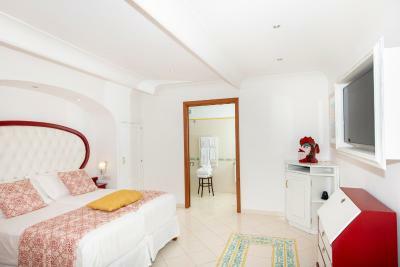 This twin/double room features a balcony, patio and air conditioning. The bathroom comes with a shower. 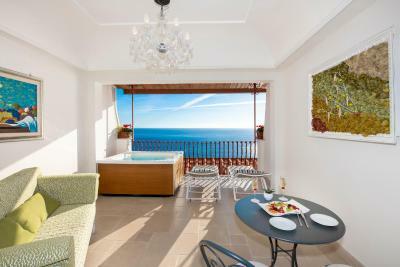 House Rules Hotel Eden Roc Suites takes special requests – add in the next step! 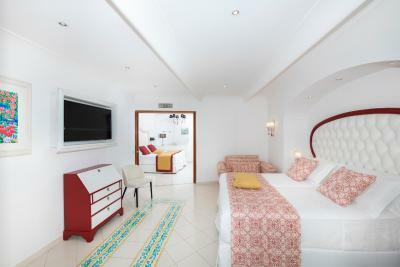 All children under 12 years are charged EUR 90 per night for extra beds. ATM card Hotel Eden Roc Suites accepts these cards and reserves the right to temporarily hold an amount prior to arrival. 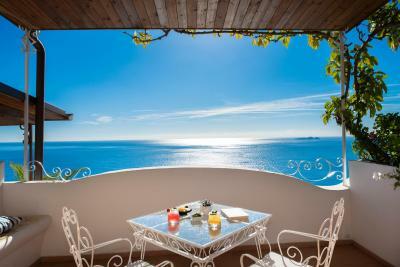 Hotel Eden Roc Suites accepts these cards and reserves the right to temporarily hold an amount prior to arrival. Please note, in the event of early departure, guests will be charged for the remainder of the booked stay. Please inform Hotel Eden Roc Suites of your expected arrival time in advance. You can use the Special Requests box when booking, or contact the property directly using the contact details in your confirmation. The mattresses were pretty firm, but that's minor! 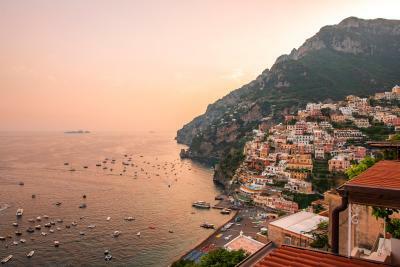 Our first-time visit to Positano was absolutely magical for our family of four (ages 18-51), thanks to Hotel Eden Roc! From the moment we checked in (and meeting Dominick, the owner, who built this special place in 1967!) 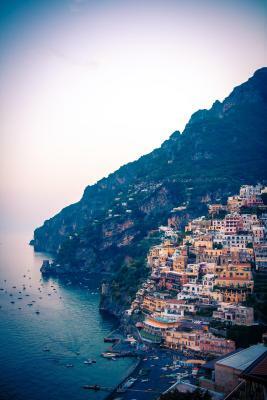 to the impeccable staff who made us feel most welcome and were there to assist with anything, our stay in Positano was a true highlight and an absolute favorite destination of our Italy trip! 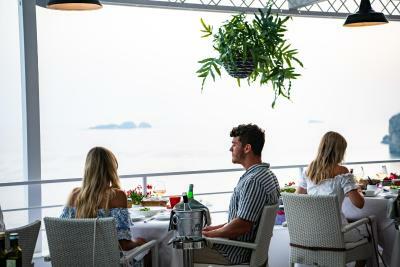 With a perfect location and amazing views, this family owned hotel whose staff felt like family, yet were extremely professional and English speaking, made our stay a 5-star experience. We will be back!! We can’t speak highly enough about our stay. Every detail was perfect. 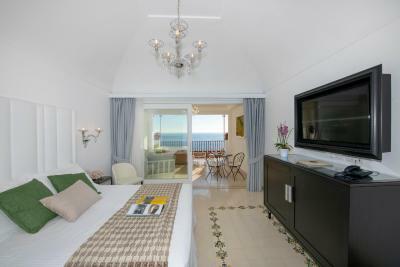 Our two-bedroom suite with balcony view had been updated the year before and offered every amenity you could dream of! Beautiful!! The breakfast buffet was amazing every morning offering anything you could want along with cappuccinos and omelette made to order! 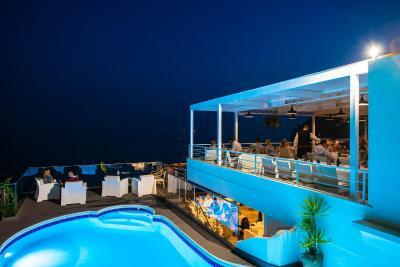 And, a rooftop bar with an amazing view provided for a perfect destination in the evenings for a cocktail and dinner. We miss it already and can’t wait to return someday! Beautiful hotel! It was perfect for our family of four! The staff were super friendly and helpful! I highly recommend and i would stay here again! Tony was amazing in the breakfast room daily and really set the mood for each day! His genuine enthusiasm and smile were a joy!! The pool was too cold, they didn’t have cover for the terrace during the rain. The staff don’t clean our bathrooms properly. And what we were most put off by was that we had told the hotel it was our anniversary trip and my birthday celebration and nothing special was done or prepared. 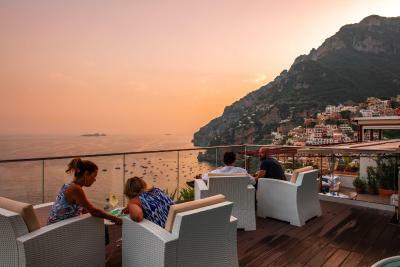 During our Italy trip we stayed at 5 other hotels and all of them either provided champagne and chocolates or champagne and cake and an upgrade. The dinner at the main restaurant was disappointing. This is the second time we have stayed at this hotel. 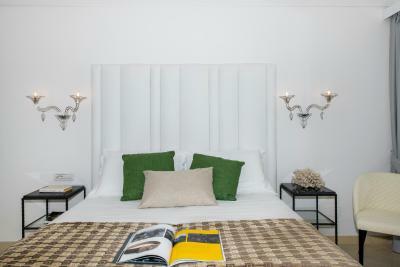 It was recently renovated and the improvements have made this charming place even better. Location is high above the town, away from the busy part but still only a short walk to a path that leads down to town proper. Breakfast spread is very decent, and all staff are very friendly and helpful. Particular mention goes to the breakfast serving staff. 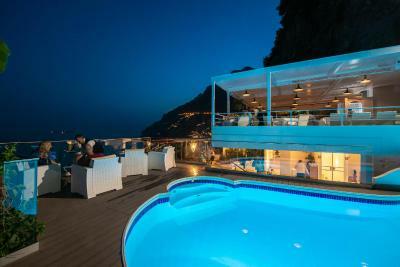 Eden Roc is an easy choice when visiting Positano, I would not think of staying anywhere else the next time I visit. The air conditioning wasn't on so we were hot at night. It was hard to get a good night sleep. We were given a fan but it just didn't really help the situation. 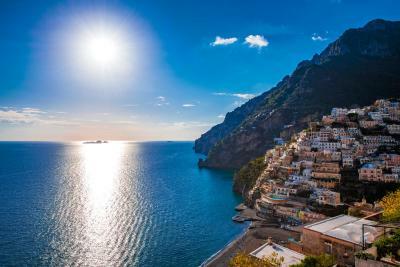 We didn’t do our research enough and obviously visited Positano during the wrong time, down season. We didn’t truly understand that when you don’t visit in season restaurants and shops do not open. With that being said our own hotel wasn’t open. 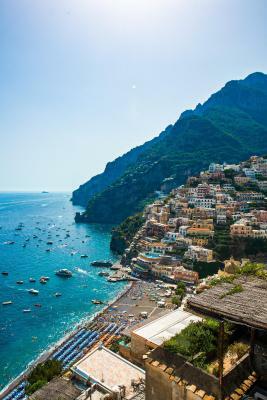 We were used to the hospitality from other cities in Italy where at least breakfast was provided and you were given recommendations for activities/restaurants. The hotel staff was very friendly and tried to assist in the best way possible as they were in the middle of renovations themselves. I would have suggested they just shut everything down during this time. Our apartment as spacious as it was had an odor since no one had been staying in it. It also had the most uncomfortable bed and pillows. Although you are in paradise you get two lousy nights of sleep and it doesn’t feel that way anymore. We were in the waterfront apartment. Small nit pick: If it rained there was a little funky odor from the downstairs entryway.